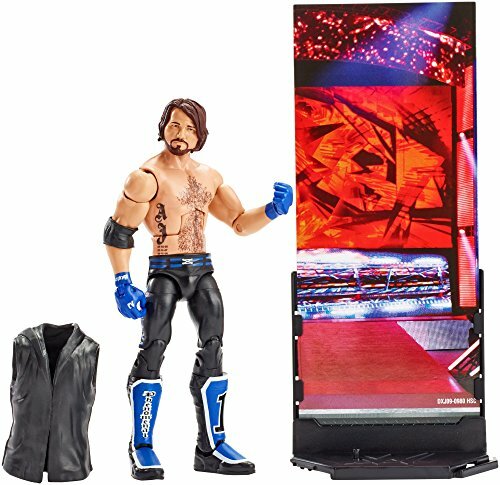 The WWE Elite collection AJ Styles Action Figure is skillfully articulated to mimic the features, style and costume of AJ Styles. It comes with removable iconic jacket. The joints of knees, elbow, abs, neck, hand, etc. is movable so kid can change the pose in his creative play. Buy it as a gift for kids from Amazon shopping in Pakistan. This bold and colorful figure comes ready to wreak havoc right out of the box!